Hoi An locates in the central stretch of road travel. This ancient town seems as a rustic, simple and poetic picture. Besides the cultural values through architectural diversity, Hoi An still preserves a culturally intangible platform. The daily life of the residents show in the customs, religious activities, folk art, cultural festivities with romantic natural landscape, specialty dishes … All of them make Hoi An more and more attractive in foreign tourists. Now, you probably will not have to worry about what things must do in Hoi An because Seatrek will give you very specific suggestions for your trip. The first one in top things to do in Hoi An at night is wandering Cau Pagoda. This bridge was built in the 17th century and became the symbol of Hoi An. At night, it is beautifully lit up. You will find many couples taking wedding photos, the children selling the flower lights there and observe life on this side of the world. On the other side of Hoai River, there is Nguyen Phuc Chu street. This neighborhood mainly focuses on restaurants and pubs. You can come here to enjoy the food, drink some beer or find a souvenir for your friends. Besides, Bach Dang street is full of sparkling lights from the row of ancient houses. This corner of the city makes Hoi An like Venice of Vietnam. This is also the lowest area in the ancient town so the water can be rising up the road every night. As a simple experience, you just step out and watch the old houses, lantern with street lights. You will imagine yourself lost in the gala of lights. This is a picture that combines the silence of ancient architecture with the image of folk and the simmering of modern life. Perhaps, the most beautiful thing is still along the banks of Hoai River, where the streaks of color glitter on the water. In the evening, you can immerse yourself in the decoration of the river party of lights. The most popular activity is dropping flower lights in Hoai River. You will drop the tiny sparkle lights into the river to hope that they will bring good luck to your family. 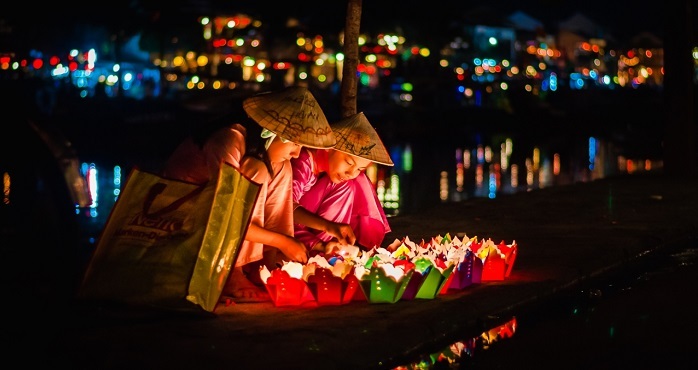 Besides the lantern, the flower lights are also the outstanding feature of Hoi An. Night food must be appreared in the list of things to do in Hoi An at night. The street vendors are simply presented with a set of small tables and chairs next to Hoai River. 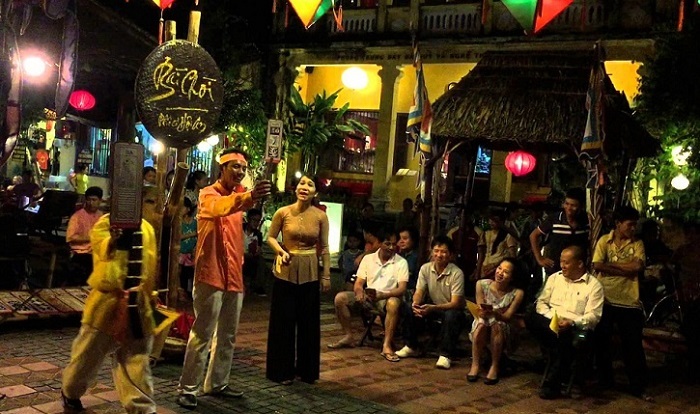 These features will make you feel like returning to the old town of Hoi An. They usually sell specialties such as Cao Lau, chicken rice, noodles …, The price is quite affordable, you can eat while enjoying Hoai River. 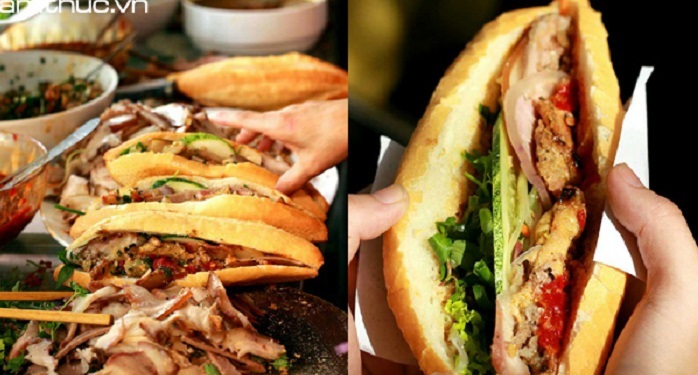 The highlight in list of things must do in Hoi An is enjoying Cao Lau. 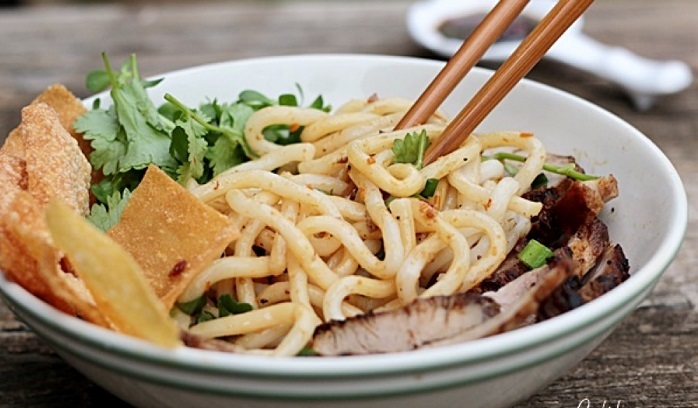 Cao Lau is a specialty dish that anyone coming to Hoi An should try at least one time. Cao Lau means high floor. Origin of the name of this dish is very interesting. In the old days, the traders came to Hoi An and when they had to eat this dish on the “high floor” for looking after the goods. A bowl of Cao Lau has full tastes: sour, spicy, chewy, sweet. You can find this food at Ba Be which is in the market on Tran Phu Street or 69 Phan Chau Trinh Street. The final one in some things must do in Hoi An is making a suit. Woman can freely choose from ready-made garments to the fabrics and luxurious design. Most of men choose vest, suit or shirt, even pajamas. Depending on the type of fabric and design of each dress, the shopkeeper will offer the prices. A dress will cost from 150,000VND to 500,000VND. You should not pay more for a dress here. In Hoi An, the tailor can sew you a new suit within 24 hours. If you do not have enough time to take it, they will bring it to your hotel. This service is very convenient for most of the tourists. Next, near the An Hoi Bridge, there is a large courtyard. That’s why the local people always have some interesting folk games every night. You can join the game by buying a card and the rest is to listen to the folk who sing folk songs. The song will end with the name of a card, if you are holding this card, you will win and receive a gift. The market is selling a lot of products made of wood, stone, metal … extremely diverse. Night market is especially suitable for girls to come here to buy a pair of earrings, necklaces, bracelets … The jewelry sold in the night market is very delicate because it serves both foreign guests and Vietnamese guests. There are still many things must do in Hoi An. Next article, we will recommend you more, for sure.